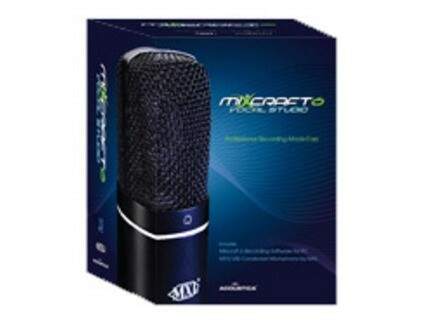 Mixcraft 6 Vocal Studio, Home Studio Package from MXL. 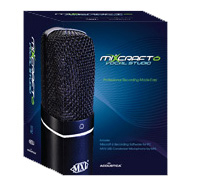 The Mixcraft 6 Vocal Studio bundle is designed for the home studio and combines the latest version of the Acoustica DAW for Mac and Windows with the MXL VMS USB microphone. Mixcraft 6 can record unlimited tracks, arrange loops, remix tracks, compose with MIDI and virtual instruments, add effects, score and edit video, and mix and master tracks. It includes over 6000 produced loops and sound effects, 11 virtual instruments and 25. Features include ReWire hosting, multi-take loop recording, time stretching/pitch shifting, support for unlimited hardware inputs and outputs, support for multi-channel VSTi's, and much more. [NAMM] A 500 Rack with USB interface by Aphex Aphex introduced at NAMM the USB 500 Rack, a rack for 500 Series modules with built-in audio USB interface. [NAMM] v1.1 update for the Line 6 StageScape M20d Line 6 announced the v1.1 update for the StageScape M20d mixer, which adds a new recording user interface, and several enhancements. [NAMM] Aphex unveils the Project Channel Strip Aphex introduced at NAMM the new Project Channel 1U rack channel strip.